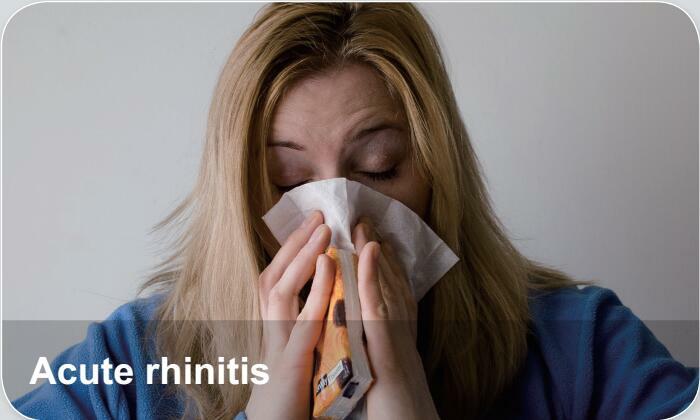 Acute rhinitis is the acute inflammation of nasal mucosa which is often accompanied by acute nasopharyngitis. The latter is the acute inflammation of nasopharyngeal mucosa, and is part of the upper respiratory tract infection. The disease often occurs in season with uncertain climate, caused by viruses transmitted via droplets.